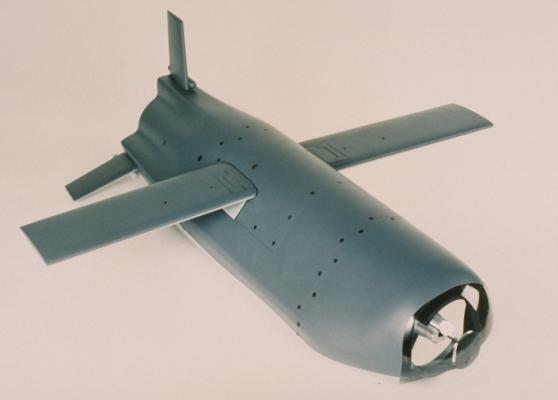 The LOCAAS (Low-Cost Autonomous Attack System) program had its origins in the mid-1990s, when it was started as the Low-Cost Anti-Armour Submunition intended for B-1 and B-2 bombers. The acronym was changed to its current meaning early in the program, when LOCAAS was redefined as a general-purpose weapon. Originally both an unpowered glide variant and a powered version (sometimes called P-LOCAAS; P = Powered) were planned. The first flight tests of both variants occurred in 1997, but the unpowered version has apparently been abandoned since. In late 1998, the Air Force Research Lab awarded a multi-year ATD (Advanced Technology Demonstration) contract to Lockheed Martin for further development of LOCAAS. LOCAAS is an air-launched munition powered by a small turbojet. During the test program, different powerplants were evaluated, including the Hamilton Sundstrand TJ-50 and the Technical Directions Inc. TDI-J45G. The control surfaces of the current LOCAAS airframe include flip-out wings and three tail surfaces with a ventral vertical fin (the layout has changed somewhat since the initial design). 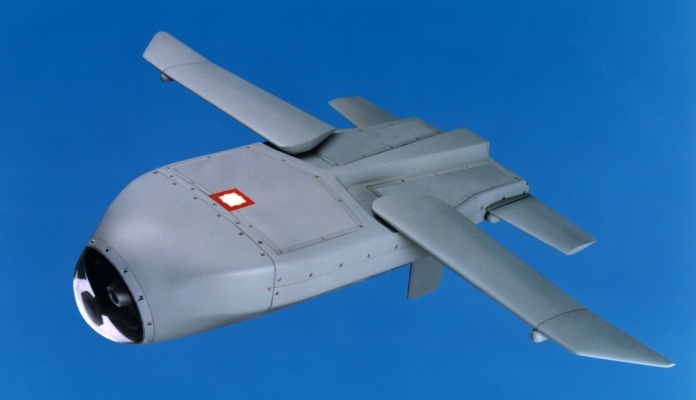 LOCAAS is equipped with a GPS-aided inertial navigation system for autonomous waypoint navigation, and a LADAR (Laser Detection and Ranging) seeker coupled with a target recognition system. Thus equipped, LOCAAS can loiter at about 230 m (750 ft) altitude in a predesignated area for about 30 minutes to detect and destroy a target with a predefined signature. The weapon's high-explosive warhead consists of a multimode EFP (Explosively Formed Projectile), which can be detonated in several ways (multiple fragments, a penetrator rod, or an aero-stable slug) depending on the hardness of the target. LOCAAS can be air-delivered in SUU-64/B-based WCMDs (Wind-Corrected Munition Dispensers), from external stores racks, or from internal weapons bays. Ground launch as payload of an MGM-140 ATACMS missile is also feasible. After testing components like airframe, flight control system and LADAR seeker for several years, the first all-up test of a the current LOCAAS version, including autonomous search and destruction of a target, was performed successfully in March 2003. Because a fully autonomous attack mission without the option of operator intervention is undesirable in many tactical situations, Lockheed Martin has since added a two-way satellite link to the LOCAAS system to allow for a "man-in-the-loop". At the time of this writing, a decision to procure LOCAAS for operational service is still pending.